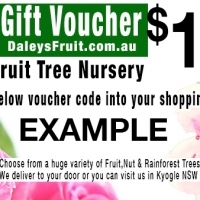 Daleys Fruit Tree has Plants for Sale to Edmonton and can Mail Order them to you door. Click to Find out how much Freight Will Cost. Red waxy skin with crisp white flesh. Highly ornamental as well as sweet and tasty. Fast growing tree bearing attractive red pear shaped fruit that is crunchy and refreshing on a hot summers day. 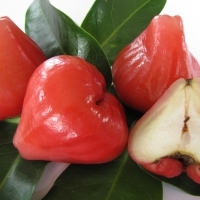 A highly ornamental fruit due to its striking red colour.